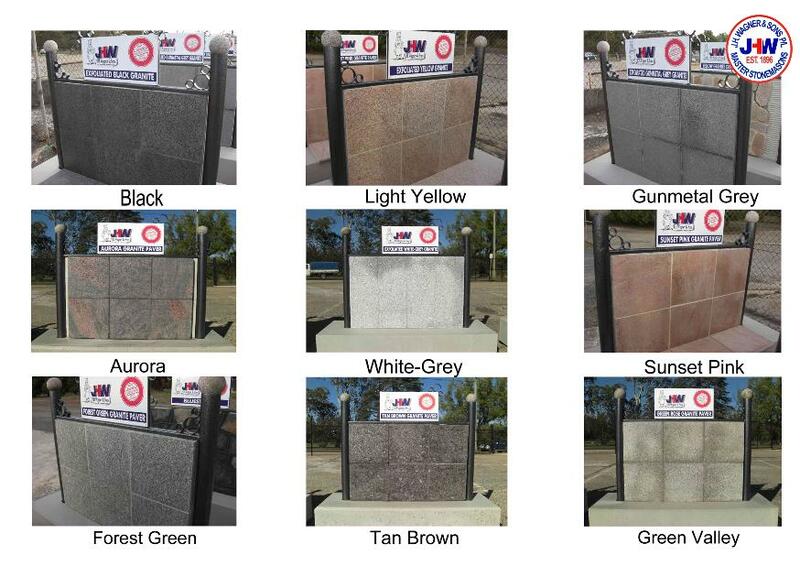 Exfoliated / flamed granite colours available from J.H. Wagner & Sons. Exfoliating or flaming the face of the granite paving product provides a slip resistant surface, so durable that it can be used for footpaths, pool surrounds, driveways and roadways. The already beautiful colours of natural granite become more noticeable with the textured surface created by the exfoliating / flaming process. At J.H. Wagner & Sons we hold large stocks of exfoliated / flamed granite pavers ready for your project and we also manufacture to order. Exfoliated / flamed granite is available in pavers, coping tiles, crazy paving, steps and some cobblestone products.